The best Titanic quotes include some of the most memorable lines uttered in this 2012 3D release of the classic 1997 movie. In Titanic, Jack (Leonardo DiCaprio), a poor artist, meets and falls deeply in love with Rose (Kate Winslet), a society woman who is engaged. Both are passengers on board the doomed R.M.S. 'Titanic.' 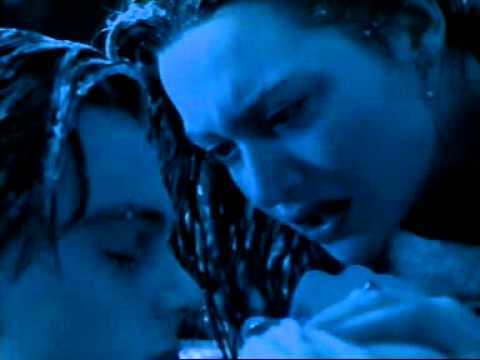 Many of the greatest quotes from the 'Titanic' movie involve Jack and Rose, whose romance is ill-fated from the start. If your favorite 'Titanic' quote is listed, be sure to vote it up. And, if you have a personal favorite quote from the film that isn't listed, please, add it. Director James Cameron decided to re-release 'Titanic' in 3D to coincide with the 100-year anniversary of the RMS Titanic's fateful first (and only) voyage. The Titanic sank in the icy waters of the Atlantic Ocean on April 15, 1912, after hitting an iceberg. More than 1500 people died. In the movie 'Titanic,' this event was portrayed in vivid detail. But the 'Titanic' movie focuses heavily on romance as well as disaster, chronicling the fateful meeting of young lovers Rose and Jack. The film, which also stars Billy Zane, Kathy Bates, Gloria Stuart, Bill Paxton and Frances Fisher, won 11 Academy Awards, including Best Picture, Best Director and Best Visual Effects. 'Titanic 3D' takes these visual effects to a whole new level, 14 years after the original film's theatrical release. 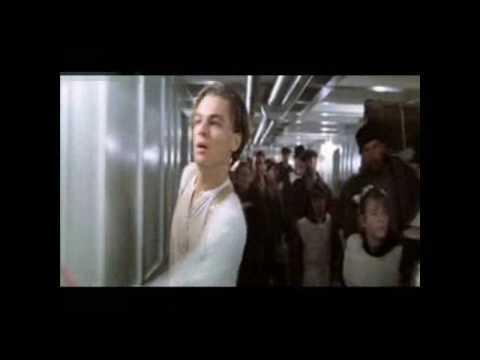 Jack Dawson: "I'm the king of the world!" No doubt, this is one of the most memorable and iconic quotes from 'Titanic.' The image of Jack and Rose "flying" at the end of the ship is unforgettable. Jack: "Listen, Rose. You're gonna get out of here, you're gonna go on and make lots of babies, and you're gonna watch them grow. You're gonna die an old - an old lady warm in her bed, but not here, not this night. Not like this, do you understand me?" Jack (to Ruth): "Well, yes, ma'am, I do. I mean, I got everything I need right here with me. I got air in my lungs, a few blank sheets of paper. I mean, I love waking up in the morning not knowing what's gonna happen or, who I'm gonna meet, where I'm gonna wind up. Just the other night I was sleeping under a bridge and now here I am on the grandest ship in the world having champagne with you fine people. I figure life's a gift and I don't intend on wasting it. You don't know what hand you're gonna get dealt next. You learn to take life as it comes at you -- to make each day count." Little does Jack know just how important his philosophy of making each day count will be. He has no idea that the days he's living now, with Rose, will be his final ones. Cal Hockley: "Where are you going? To him? To be a whore to a gutter rat?!" Rose: "I'd rather be his whore than your wife!" Bottom line: Rose DeWitt does NOT love Cal Hockley, much to the dismay of her mother, Ruth, and Cal, of course. Cal does everything he can to keep her away from Jack Dawson -- but true love reigns supreme.